One of the most instructive and essential elements of these makeovers are the before and after photos. Who doesn’t love an ill-lit, unimaginative, in-desperate-need-of-change before shot at the beginning of these satisfying narratives of improvement, which is almost as gratifying as the ‘after’ shot(s) of gracious and redeemed space. As someone whose every professional undertaking in the wonderful world of residential or commercial makeover is always subject to the bracketing of before and after shots, I’m here to tell you that getting from the before to the after is always a much more complicated and taxing undertaking than even the most experienced designer expects. For no matter how carefully you plan, no matter how much experience you have to draw on, every makeover is, by its very nature, extreme, principally because the stakes tend to be so high. If it’s residential, you’re dealing with someone’s home, a person’s or family’s most intimate and representative space. And if it’s a commercial space, then you’re designing a platform calculated to maximize revenue even as you establish profile and brand. As inherently ‘extreme’ as any makeover necessarily is, however, I can assure you that they never happen quite like we’re led to believe by reality TV shows. Given the nature of the genre, especially the necessity to reduce a sometimes months long project into half an hour of television time (22 minutes with commercials! ), the elements these shows tend to miss are, ironically, the elements most apt to bring on the stress they’re so interested in exploiting to tell their ‘extreme’ tales of redemption. Over the last six months I’ve been involved in two major commercial design projects in the Greater Saint John area: the new House of Chan restaurant in Quispamsis and a major overhaul of the Saint John Ale House Pub. 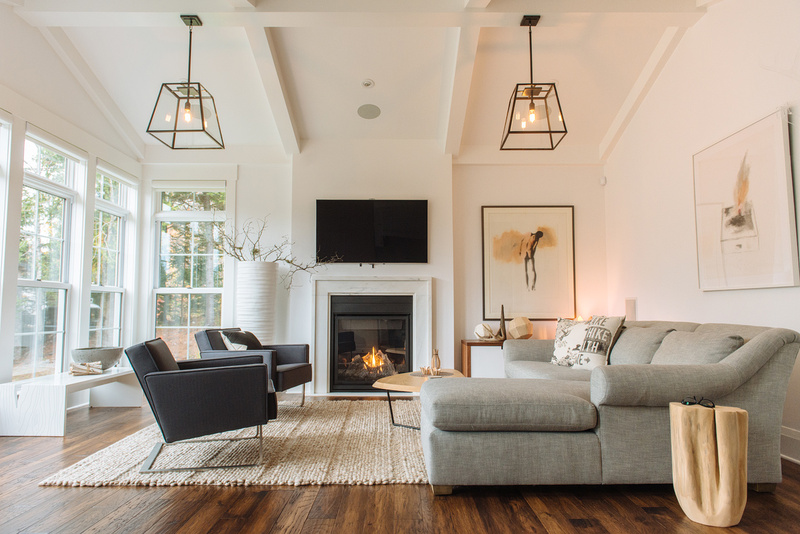 Although much larger in scope than a typical residential makeover, both of these projects have served to underscore important makeover principles that apply regardless how large or small the renovations are. The second principle is put together the best possible team. And let them know at the outset what your expectations are and encourage them to share any misgivings they might have about the project, especially anything having to do with deadlines. Third, during the process you’ll be tempted to take shortcuts. Resist the temptation. You’re going to have to live with the results in the long term. Shortcuts make for unhappy long terms. Finally – and this is a difficult principle to articulate – try not to second guess the vision of your original design. One of the first casualties of the implementation process is apt to be the integrity of that original design. This doesn’t mean that you shouldn’t be prepared to adapt to a developing situation as you renovate. Rather it means that you have to keep your focus on the end with which you began. When you’re in the middle – when things are at their most ‘extreme’ – the hardest thing to remember is the happy, abstract ‘after’ shot that motivated you to say goodbye to the sad and underachieving ‘before’ with which you began.